If you have some problems with registry optimization and your computer maintenance, or some junk and old files keep stuffing your PC memory, it’s time to do some cleaning up. 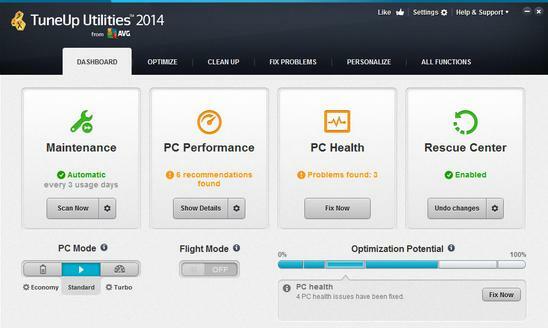 The tools for computer registry diagnostics and optimization can be found on the internet. The fact is – the number is so big, it’s difficult to decide which one is the best and who is the worst. Here are 2 top registry optimizers I have used or have found to be useful by reading some trustworthy reviews. 1. Tune up Utilities 2013. I have just used 2009 version (trial) and have been astounded since. This computer registry diagnostics and optimization tool is easy to use, light, the process does not load much of the RAM, overall – best product for optimization and file cleaning that I have found. Fact is, it does much more. Acceleration of the startup and response time of programs. Ability to disable unnecessary programs running in the background. One click automatic computer maintenance. System startup and shutdown optimization. Ability to defragment hard disks and registry in a short time. It also reduces system registry size as well as repairs structural defects of the operational system. Broken shortcut removal – unnecessary files and shortcuts deletion. Registry cleaning – reduction of registry errors. Disk space free up by removing junk and temporary files. All installed programs identification with the uninstall process ability. Windows problems correction, restoration of desktop icons. Complete control of the running programs. I might have missed something, but anyway you should get the idea once you install and run the software. I thought of any cons, but have not been able to find any so far. If you want to try it – here is the link. Trial version works for 15 days. The price for the whole product is 50$. Judging from the reviews on the Cnet site I suggest trying out this registry tool. There are over 8000 votes on this product and most of them give the rating of 5 stars (the biggest number). The product is not charged – yes, you can download and use it for free. That’s already some piece of good news. Tools to optimize the system. Hijacked windows settings scan function. Startup and temporary files cleanup. No software schedule – works only in pro version which is charged. Another disadvantage – the reminder to upgrade the program and pay for pro edition always pops up and it’s kind of nagging.